Please note that the date for the Donegal Hist. 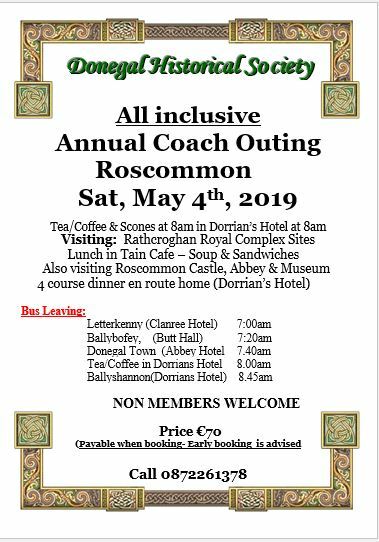 Soc, Annual coach outing to Rathcroghan has been changed. It is now on May 4th instead of previously listed for April 27th.